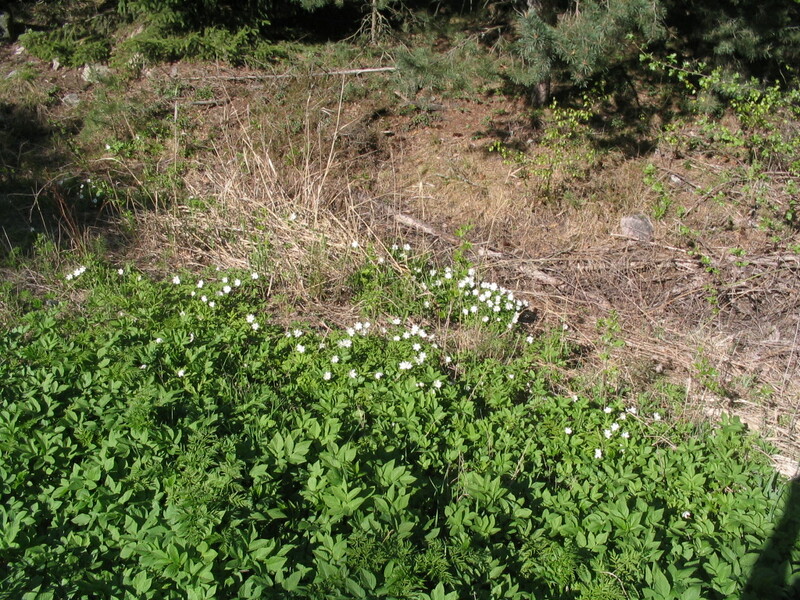 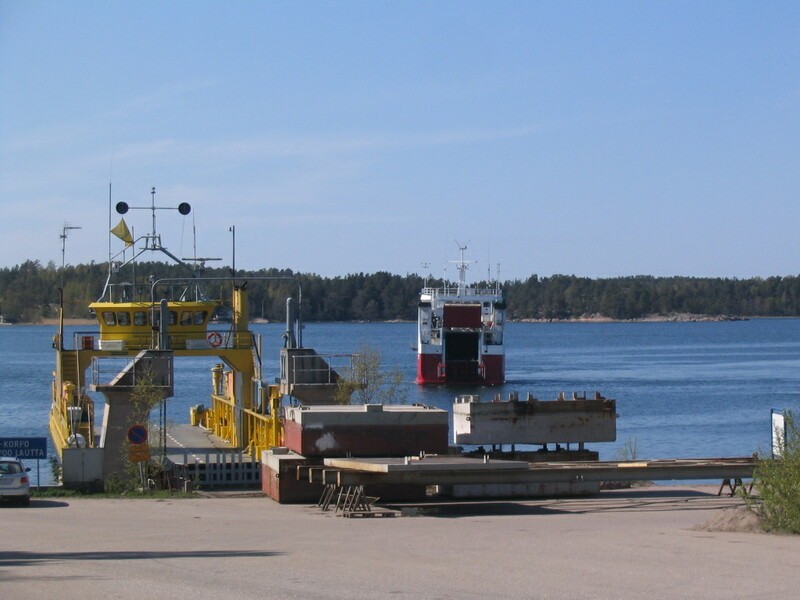 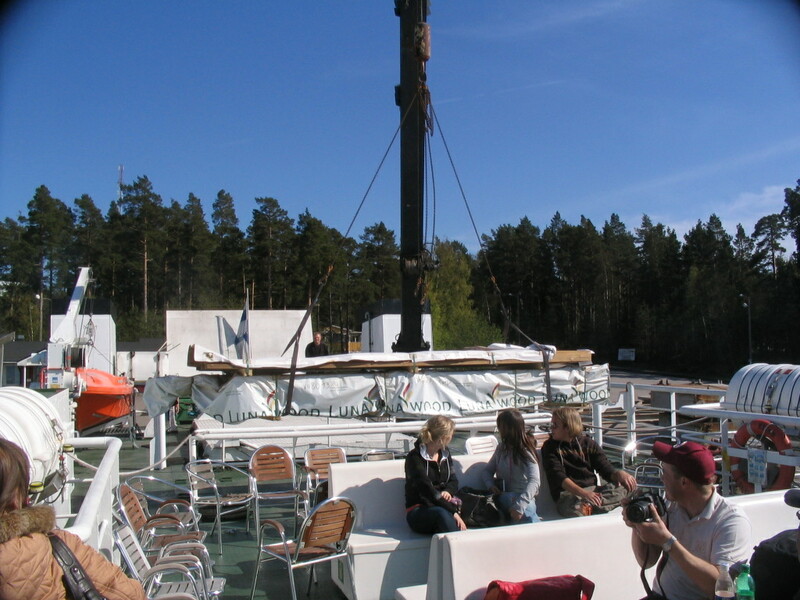 Once we arrived at Pärnäs we had some downtime before the ferry to Utö arrived. 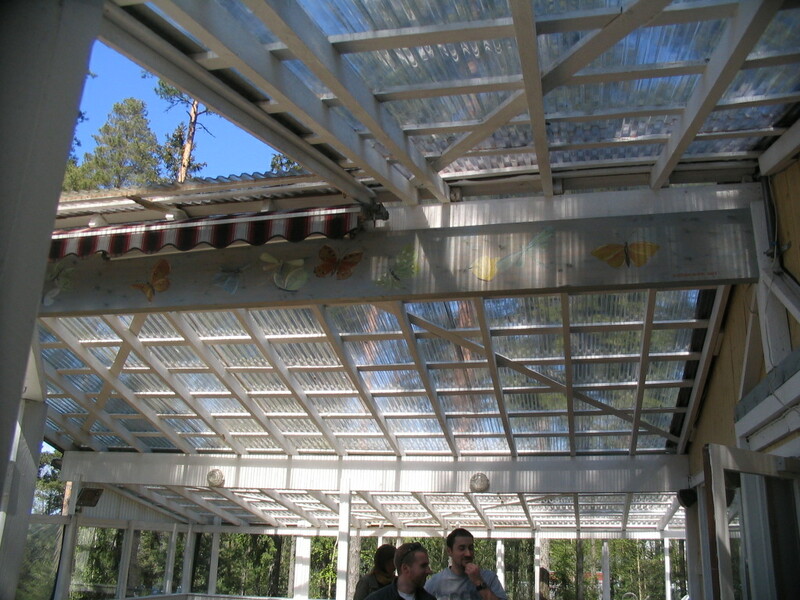 The expansive, daylight-friendly porch roof of the restaurant near the terminal. 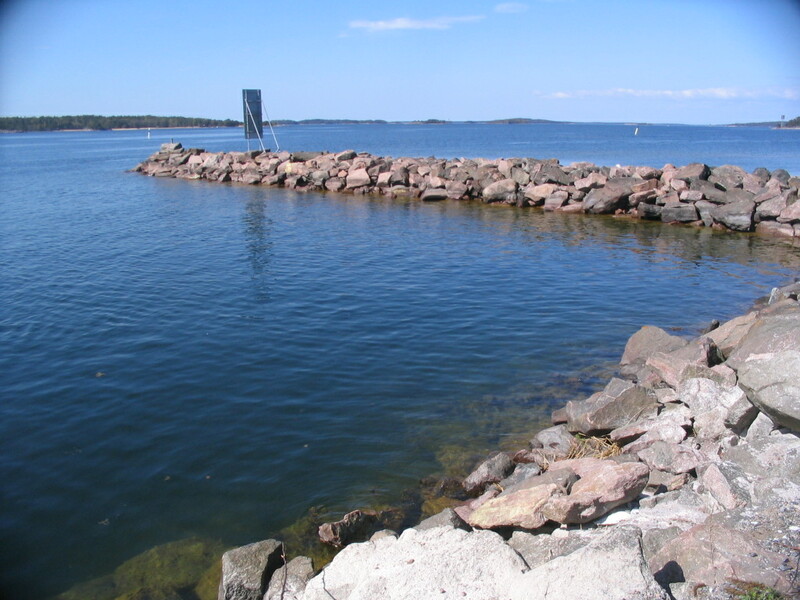 Breakwater before a long view. 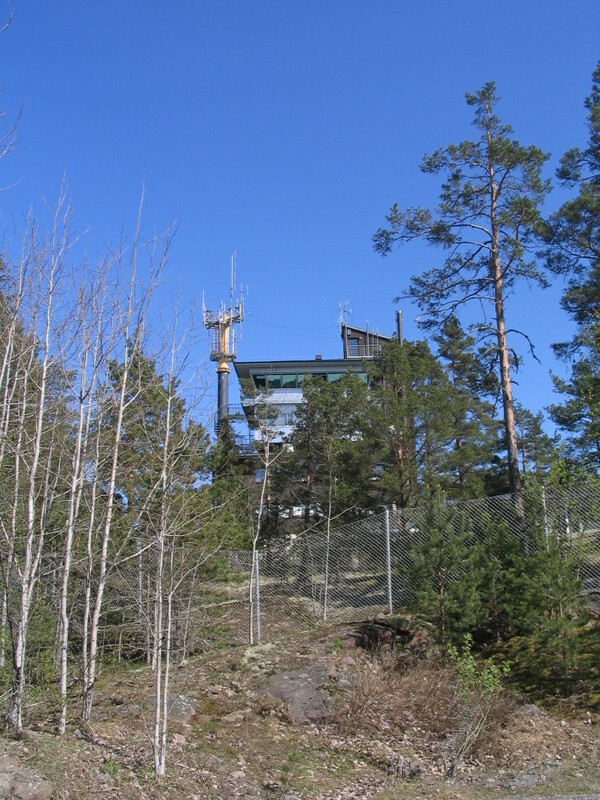 This would appear to be the Pärnäs pilot station, up on the hill. 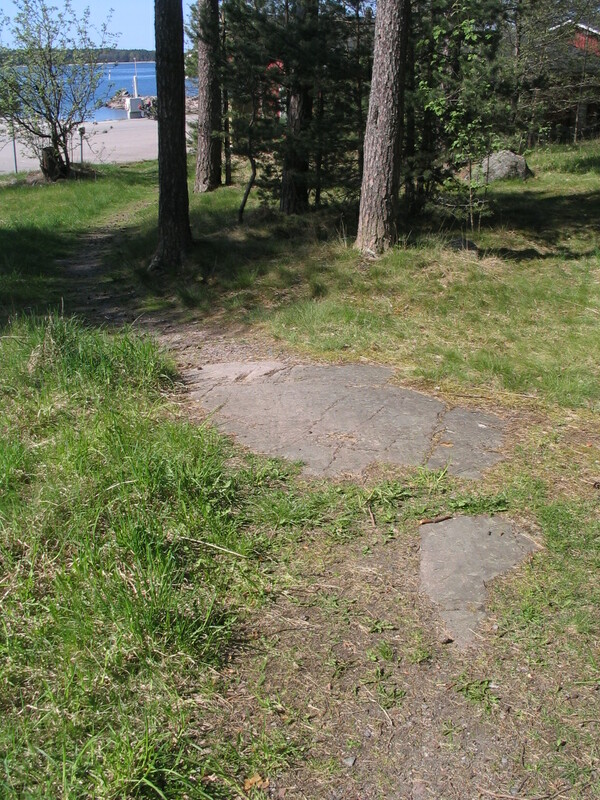 A nice path through the parky area near the restaurant. 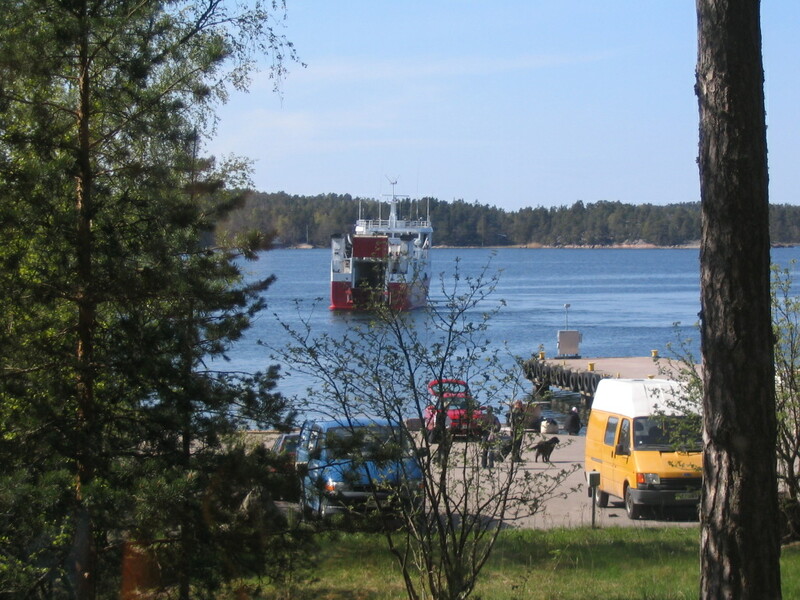 Here comes the ferry to take us across the sea! 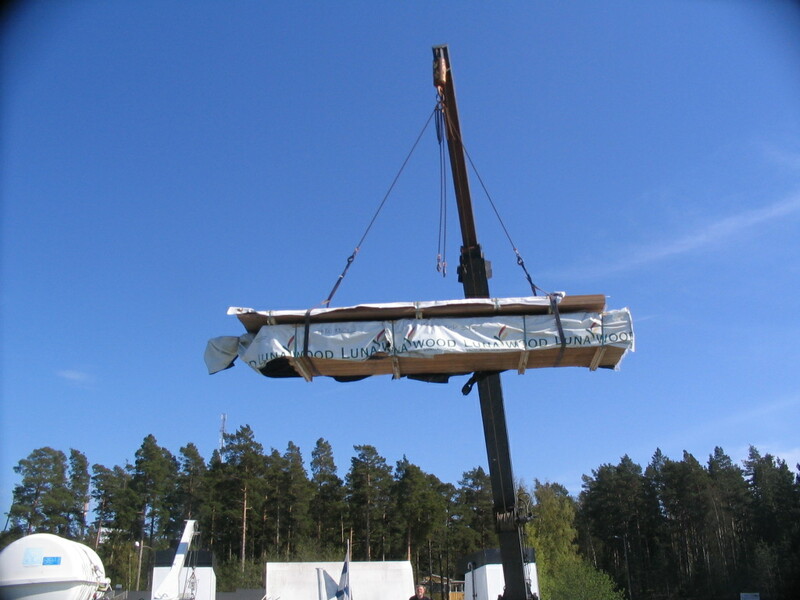 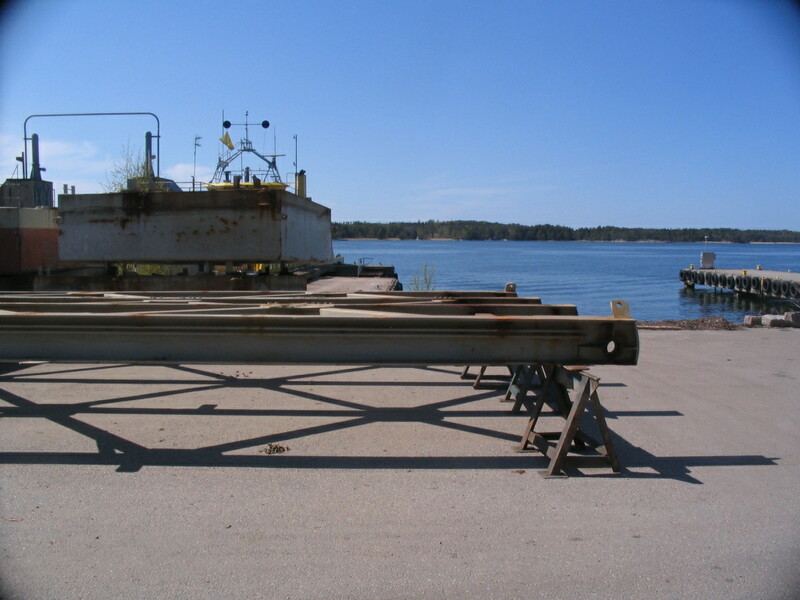 This is the wood for the bench seats and stairs we would be building on Utö, to be transported on the ferry deck. 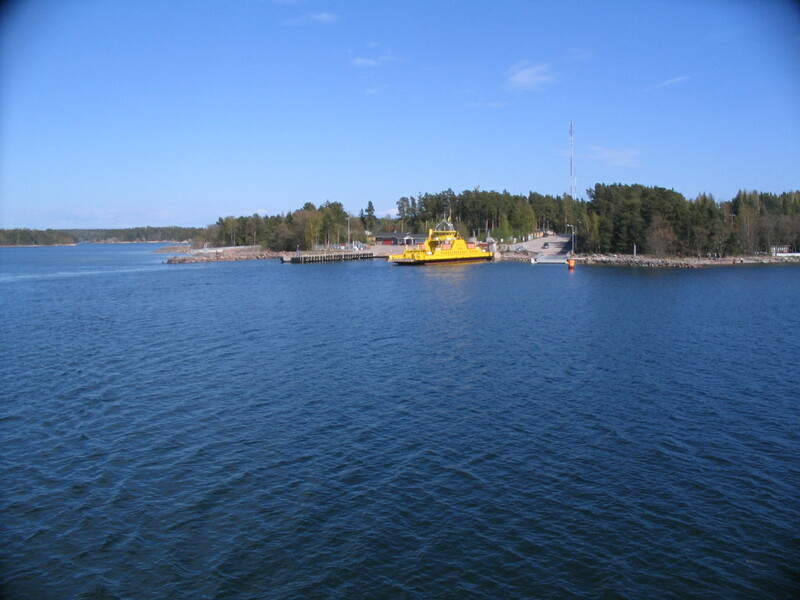 Bye Pärnäs, see you in a few days. 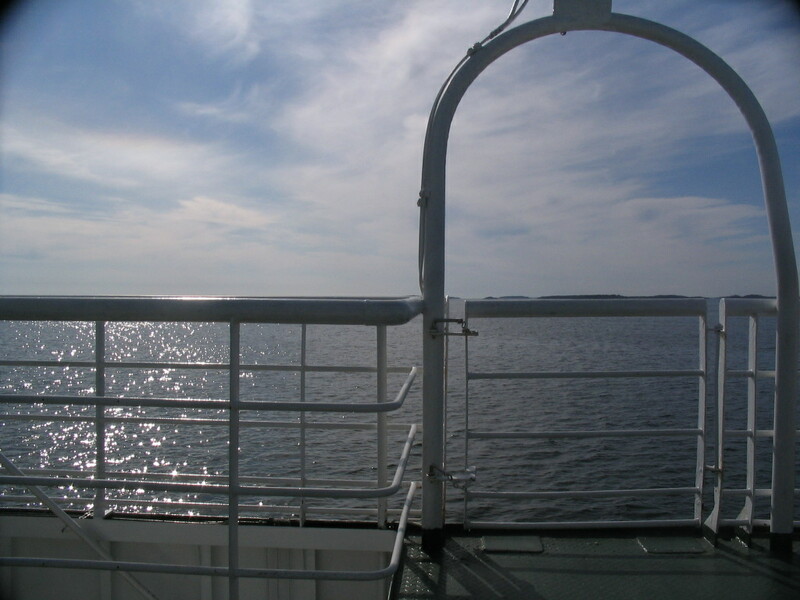 All the visual action of the landscape out here is within a degree or so of the horizon. 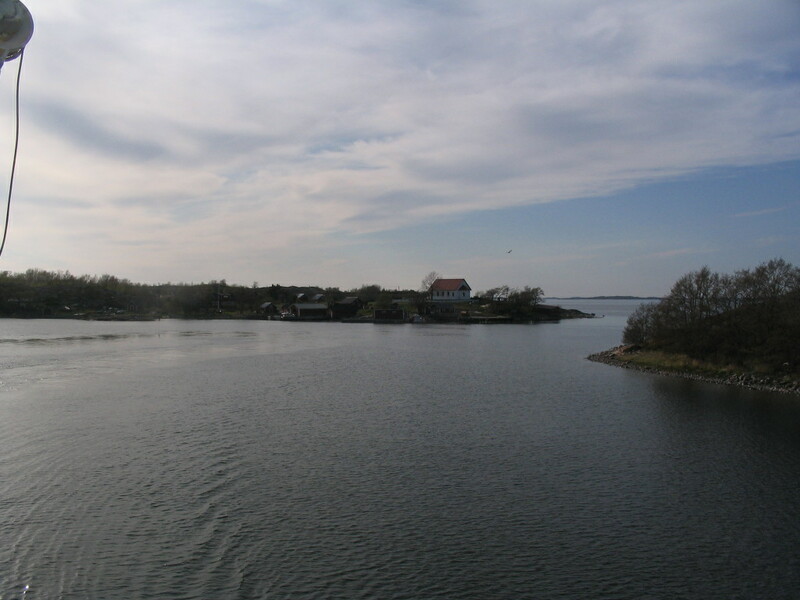 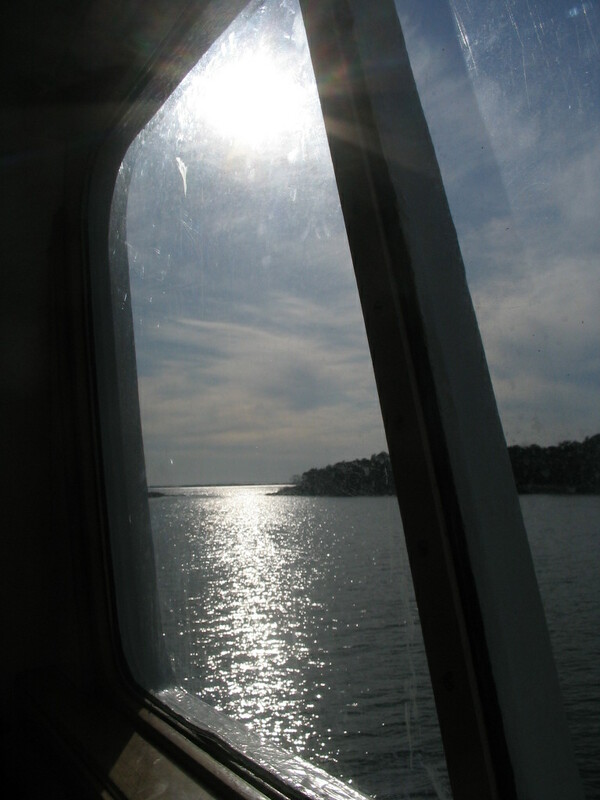 Approaching Nötö, passing by a typically reedy shore. 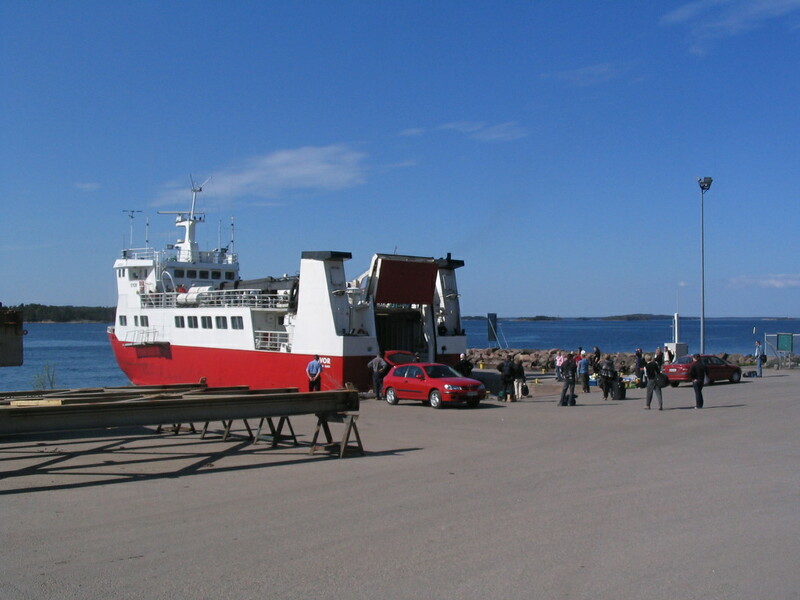 Behold the vast and overwhelming Port of Nötö! 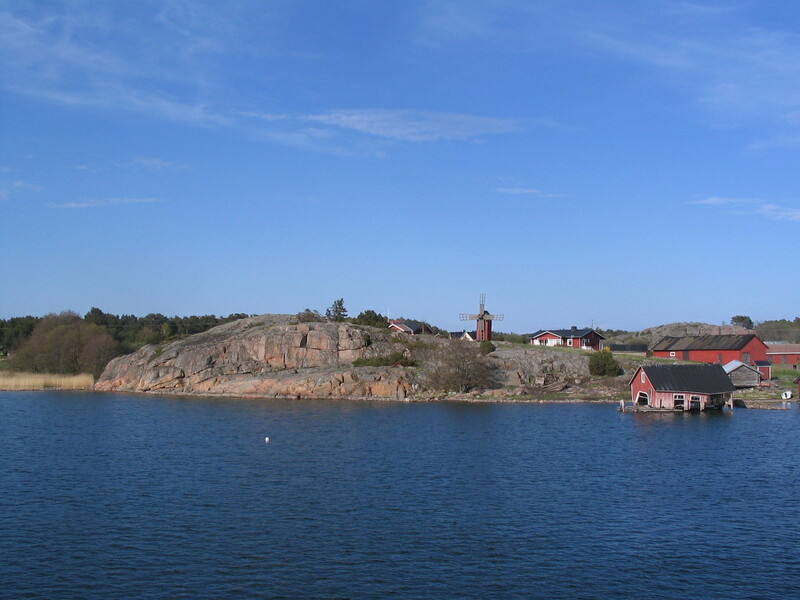 Receding from Nötö, rounding the corner. 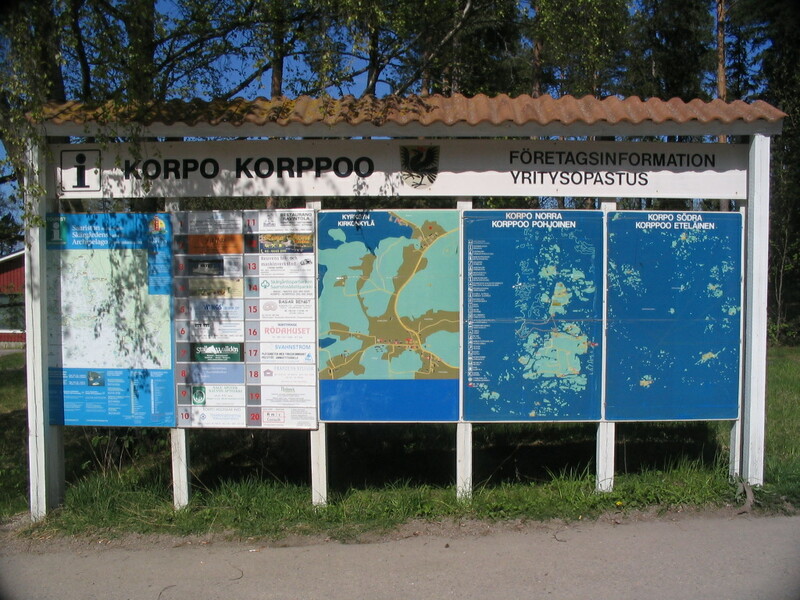 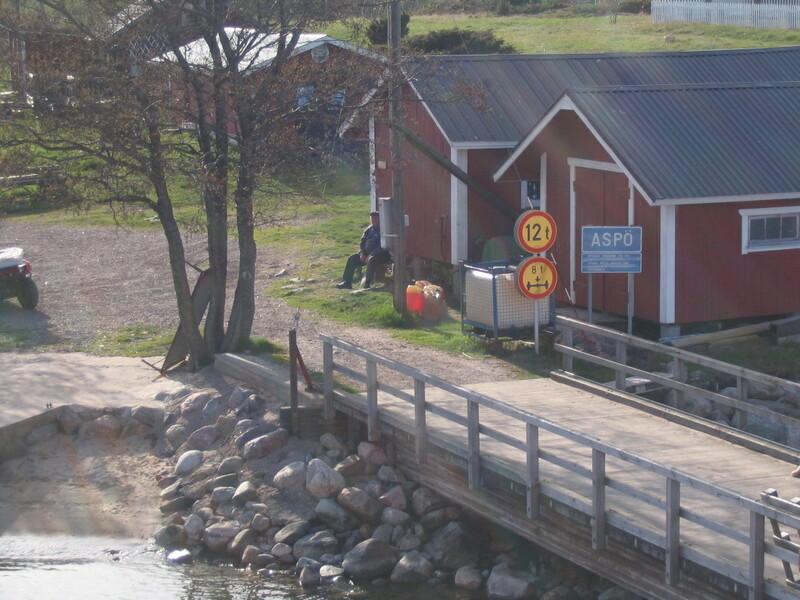 Aspö was the next stop. 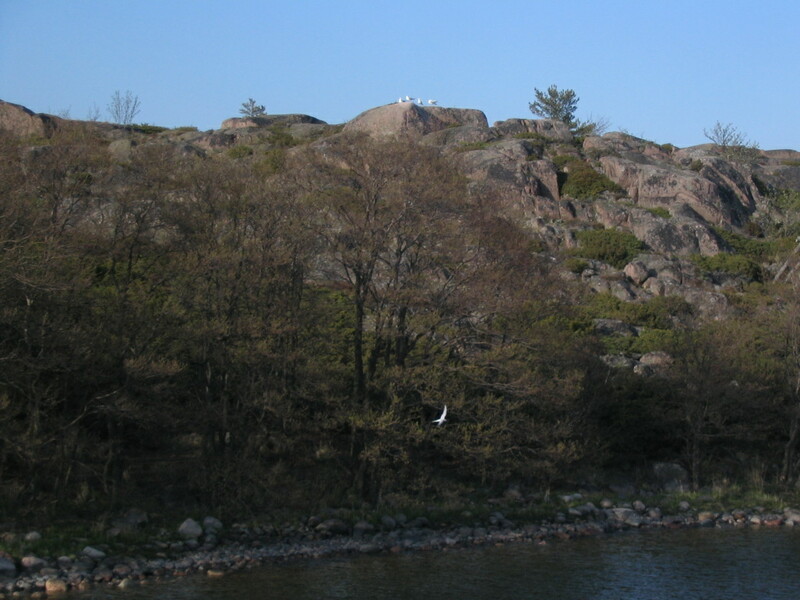 Gulls on high on Sommarön, an island adjacent to Aspö. 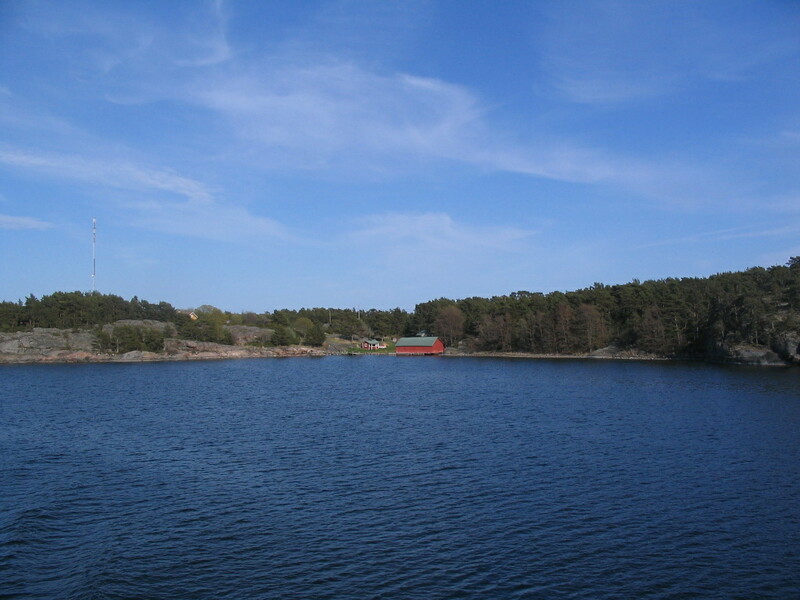 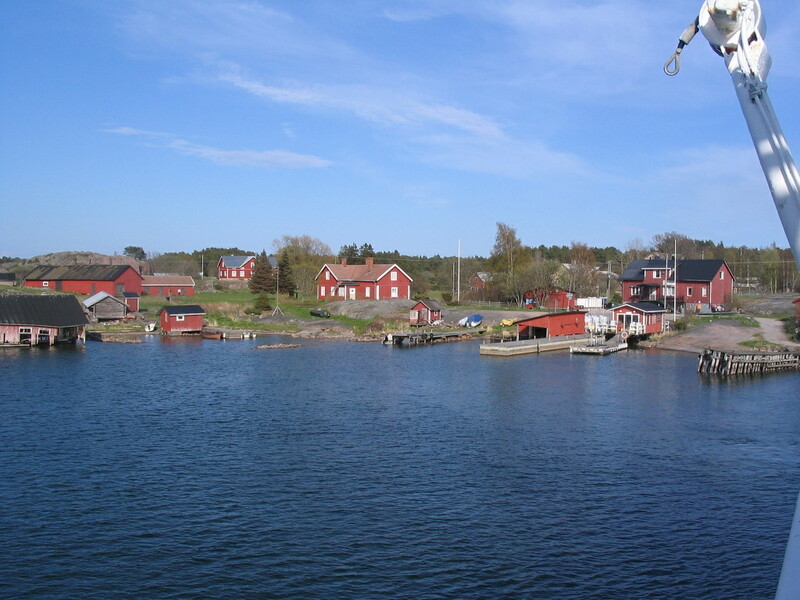 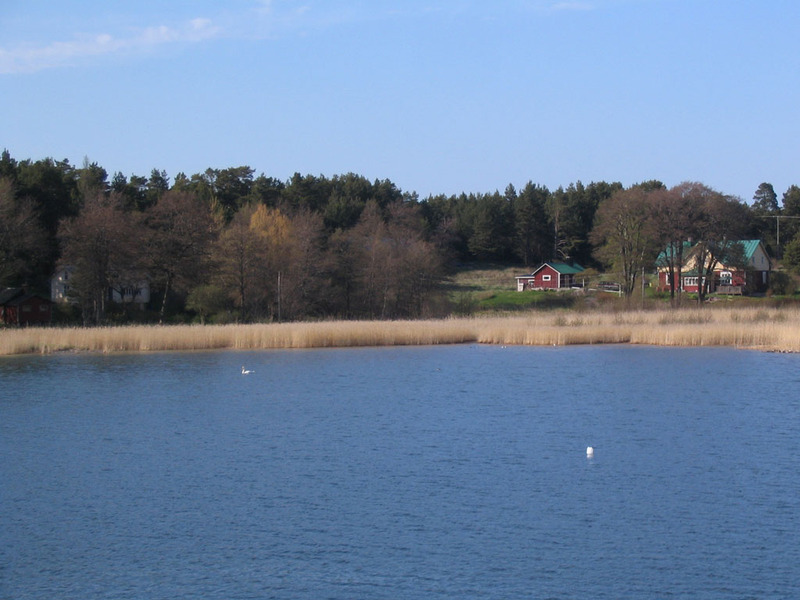 Receding from Aspö, its distinguishing church in view, with Sommarön to the right. 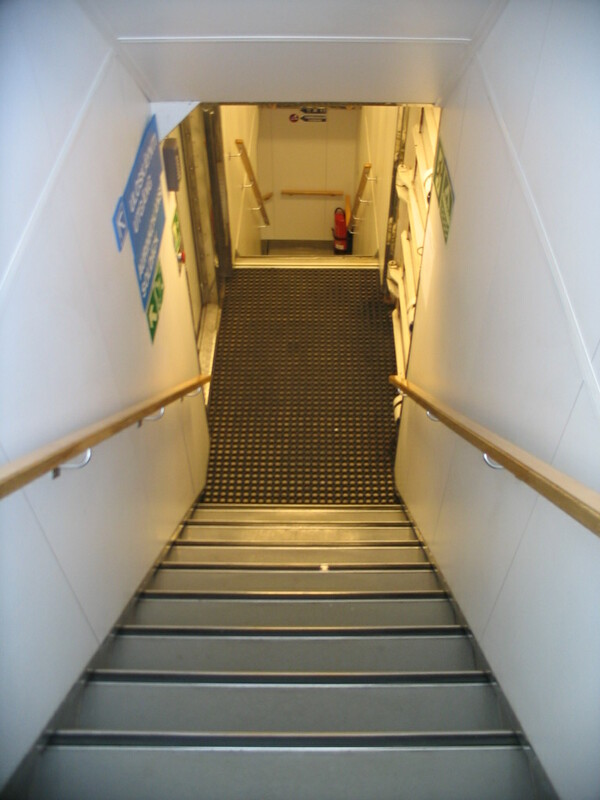 The stairs down from the deck to the lower levels.